Great Canadian Tours runs evening tours right from the base of Revelstoke Mountain Resort. 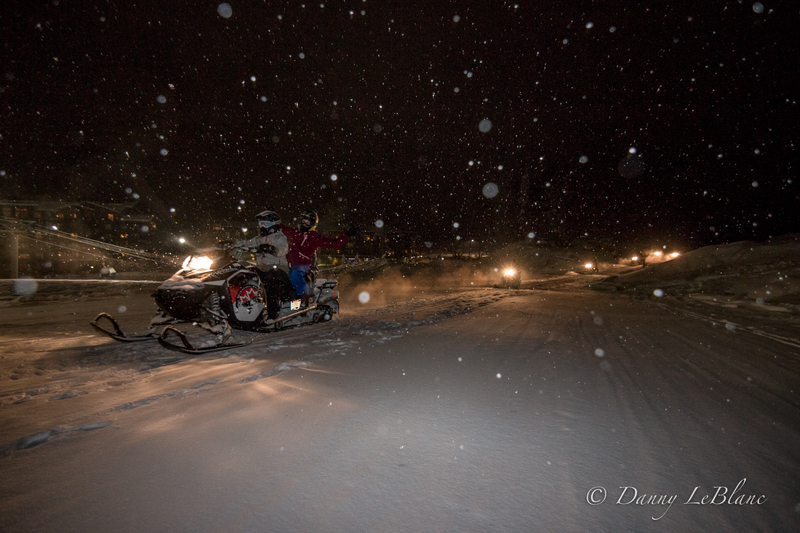 What’s better then experiencing the mountain then at night during a guided tour? What’s better then spending the day with a pack of lovable dogs who love to run? Why not try out a dog sled tour for the morning or afternoon. Give Revelstoke Dog Sled Adventures a call for a unique trip into the snow. Why not take your adventure to the next level? If you love to ski or snowboard you can take off, from your skis, at the top of Revelstoke Mountain Resort and go paragliding to their mid station in tandem with an instructor. Talk about an adventure with Revelstoke Paragliding. Plan on taking a few hours as no one fly’s if the wind isn’t right. Revelstoke has something for everyone from high adrenaline pumping adventure to relaxing days in the pool. Find your fun on your next trip to Revy. Photo courtesy of Great Canadian Tours.